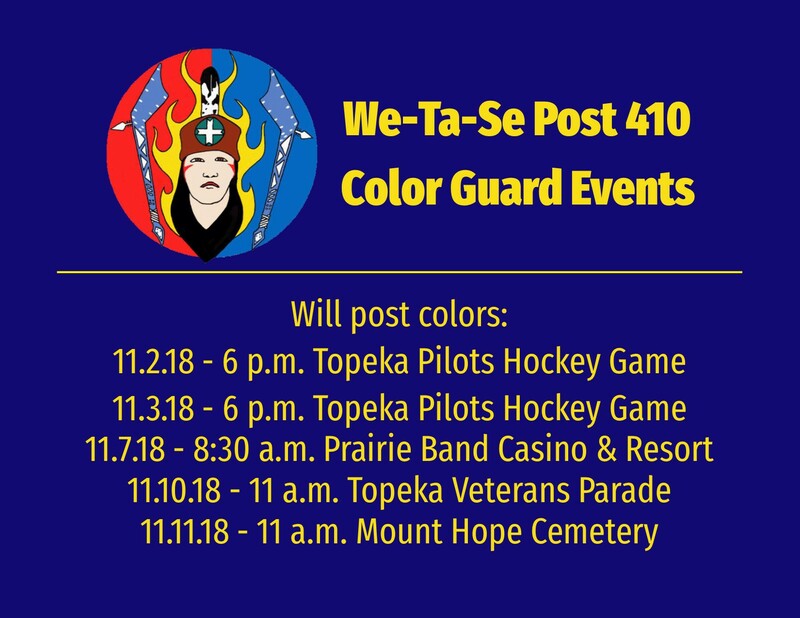 The We-Ta-Se American Legion Post 410 was formed in 1989 to provide a proper “full” military burial for all of the Prairie Band Potawatomi veterans on the reservation and the honor guard for ‘We-Ta-Se’ is also available for any veteran’s family that requests a military burial in the reservation’s immediate area. 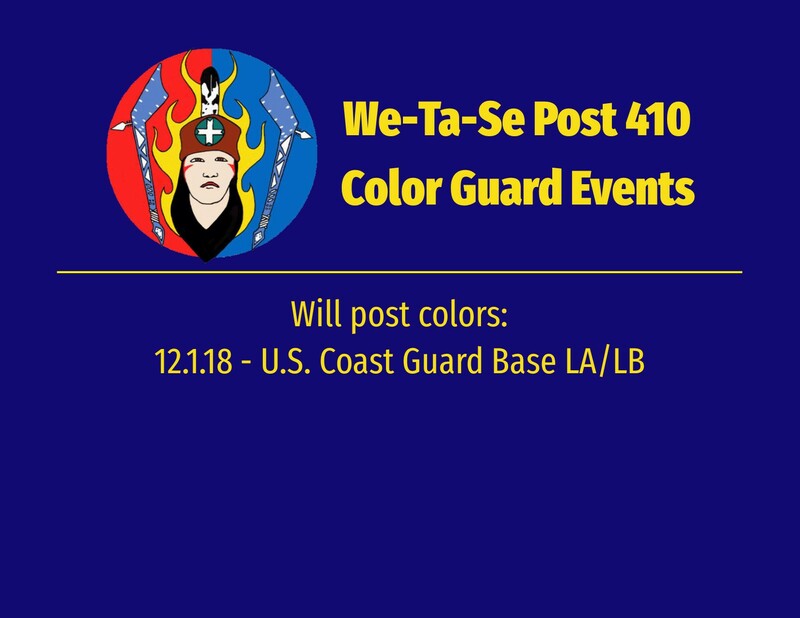 The We-Ta-Se Color Guard performs at approximately 45 events annually. They have presented posting colors for pow-wows, parades, sporting events, various school functions and many other special events all over the state of Kansas and some functions nationwide. Color Guard at Kansas City Chiefs and Kansas City Royals game. Lori Piestewa National Memorial of the first Native American Woman killed in combat where we had the Honor of leading in 28 other Native American Indian Colors Guards. Color Guard for the Lewis & Clark Bicentennial at 8 separate events in Kansas and Missouri. Led the procession for the Prairie Band Potawatomi Nation at the opening of the National Museum of Native American Indians in Washington, D.C. The Veterans Memorial Wall located at the Prairie People Park was dedicated November 26, 2003 and has 375 tribal members names inscribed on the wall. This represents about 12% of the adult population of the Prairie Band Potawatomi Nation who have served in the United States armed forces. Also included on the memorial wall are nine tribal members who were killed in action and one tribal member who was a prisoner of war.